Shyam is workig on the US business licenses data and a company registry bots within OpenCorporates. We’ve ingested 67072 datapoints from user-contributed bots this month, which is pretty great. Helenst finished her bot scraping financial licences for the Central Bank of Oman Dinotash finished a bot scraping financial licences from the Central Bank of Afghanistan and one for the Swedish Financial Services Authority, Finansinspektionen All three of these bots contributed data using our new rich licence schema which allows us to capture and open up a lot more information. Also, meet the super contributor: Dinotash in the “Meet the Turboteers” series. London, 29th July, 6 – 10pm >> Join Us! Shyam has planted Beans and is excited to see it grow! 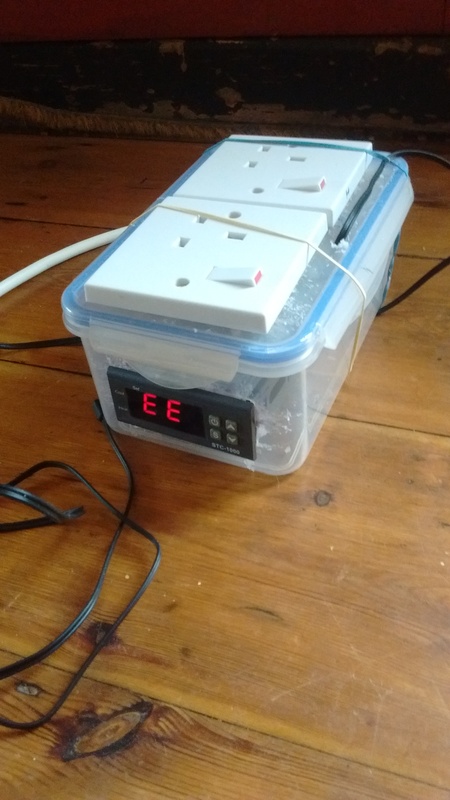 Seb: “made holes in a tupperware box with a dremel to fit power sockets for my tempeh incubator prototype” project is complete. Peter: “I spent last saturday on a boat and didn’t fall in”. Lukas gave a talk on “Object Constancy In Visualisations” in Berlin which went really well! You can find the slides here. Hera (me!) revisited lean startup methodology after months and read some of the iterations people have done to the business model canvas. Chris is on holiday (shocker! ).